When it comes to starting an online business, cash is still king. That axiom doesn't go away just because a business is online. In addition, if you do end up in a niche with market demand for what you offer and you start to see sales growth, it can actually deceive you into thinking your business is going to be okay. Sales growth is good, but cash is still king and the acquisition of new customers and excitement around your brand can cause you to overlook the fact that you still need to watch your cash flow like a hawk. If you don't, rapid growth can easily catch up to you and cost you your business. In fact, over 80% of businesses fail in the first 5 years. Just about half of those businesses are actually profitable. Most fail because they run out of cash. Do you remember Lehman Brothers during the 2008 financial crash? How did that even happen? How did the 4th largest investment bank in the world go bankrupt in a day? They had tons of revenue and great profit margins, but on that fateful day, they ran out of cash. Even though Lehman Brothers was a complex, multi-national financial institution, it can happen to you and your online business if you're not careful. Let's say you start an online business in the makeup niche, and let's say you do a great job at marketing and recruiting influencers to promote your products. You start to see double digit sales growth month over month. You're a year in and your sales has growth to over $1 million. Great news right? Well, here's how it probably looks like in reality. You're dealing with a high volume customer service requests. You're trying to keep up with fulfilling your orders on time, you're trying to figure out how to have enough inventory in stock to fulfill your orders and in the middle of all that, you are trying to build systems and hire people to work for you. You finally hire a great team of people and your sales is continuing to skyrocket. Now you are having to buy more and more inventory and you run out of space in your spare garage. You find a great warehouse space but it's going to cost you a chunk of change to put in a deposit, sign the lease, move all of your inventory and systems to the new warehouse and all the while the business is still running in the midst of all this chaos. One day you wake up and you see a ton of sales growth, but you also see a ton of cash drainage. You seemed to have hit a market nerve and competitors have caught on to get in on the action. To compete, you have to now lower prices and your margins aren't as good as they were before. All the while, now you have a new monthly rent on your warehouse and office. You have several people on your payroll that you have to pay in cash. There's new overhead with paying for employee benefits. You're still cash flow positive, but the margins are starting to get tighter and tighter. Then one day, a new trend hits and demand for your line of products starts to fizzle out. Now you have a ton of inventory that you are having a hard time unloading. And your employees and your landlord still expects to be paid on time and in cash. While you scramble to find a new trending product, but by the time you land on one, you run out of cash and can't make payroll next month. And you have no more cash to buy new inventory for this product. The scenario I just laid out has been repeated thousands of times by many business of all shapes and sizes. And just because something is an eCommerce business, it doesn't exempt them from the sames cash flow management requirements of any other business. Here are some ways you can mitigate such risks and not get sucked into the idea that running a successful business with longevity is just about sales growth and profit. One of the best ways to manage cash conservatively for growth is to build scalable systems from the beginning. Build systems with long term growth in mind. Why? Because building systems or changing systems is very costly. It become more costly to transition to a new system the larger your business is. For example, just look at what customers are saying about Big Commerce Enterprise vs Shopify Plus. Many are trying to make the transition from a more complicated system to new systems like these because their current platform cannot handle their growth. Migrating as a large enterprise is much more costly than for a small business. If those eCommerce businesses had started on a more scalable platform to begin with, they would have the headache and the huge costs of switching over. Another way to conserve cash is to reduce overhead. 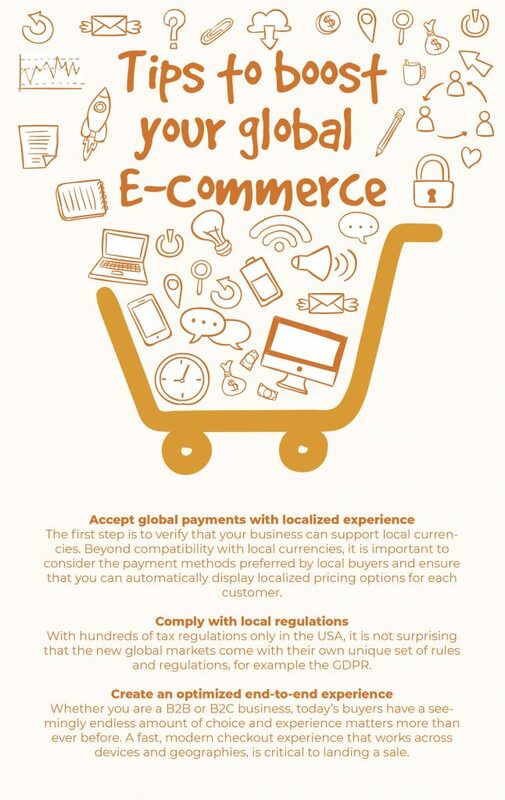 There are several ways eCommerce business, especially, can do this. First of all, consider using a fulfillment service like Fulfillment by Amazon. They will warehouse and ship your inventory for you, even if your products aren't on their marketplace. That will save you the cost of owning or leasing a warehouse. You can also consider temporary or short-term, seasonal labor. That way, you don't have the high overhead of loaded employment costs for employees you don't always need. Remember, cash is king, even in the eCommerce space. Look for ways to improve your cash management, even as you grow. When you get exogenous shocks like a downturn in the economy, sudden loss of demand for your products or other unknowns, you will have the buffer and resilience to keep your business operating.